Have you ever been in an event and wonder if you could have the same event entertainment at your party? The party’s entertainment is appealing in any type of event because they can offer ranging options of dance genres, such as belly dancing, flamenco dancers, salsa, among others. The professional entertainers usually have an army of tricks and fun up their sleeve that can surely catch the interests of your guests. Leave everything to the professional party entertainers, lay back, enjoy and let them distract your guests and make your party memorable. 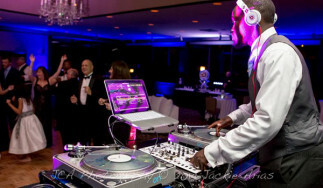 Have you been asked to organize the event entertainment for your office, anniversary, wedding or any other party? Don’t worry, we can make any event fun and memorable. Our talented performers can also customize their performance if you want to be included. Any ideas on how you want to surprise your grom by dancing as a belly dancer? Or you want to make a couple’s choreography and have the backup dancers around you in the scene? Any ideas you might have can be design, created and customized for you. Remember, is a once in a lifetime event that will bring in the results you re aiming for, and we can help! We have a unique vision to create an entertainment program for your next special event. Our unique performers are highly trained and can adapt to bigger or smaller venues. Successful event start with an imaginative idea, and we are happy to suggest creative themes and performance possibilities. For booking our party entertainers or other services such as photo booth rental, Disc jockey services, custom lighting, event host, and EMCEE services Call today at 954-464-5900.